Mark your calendars! R-Squared Productions has announced the screening date for the worldwide premiere of its newest feature film. New Hope will screen Friday, February 10, at First West, 500 Pine Street, in West Monroe at 7pm. The film stars Samuel Davis (Abel’s Field), Perry Frost, and Ben Davies (Courageous), and also includes appearances by Andrew Whitworth of the Cincinnati Bengals and hundreds of local extras and special extras. 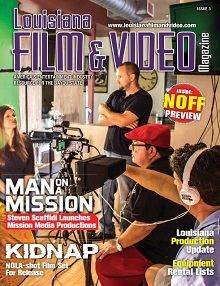 For more information, visit www.R2films.com or call (318) 323-6900. In honor of the Halloween season, the producers of Jerome High’s Scream Team invited Louisiana media to the set of their Alfred Hitchcock-style horror film last Saturday. You can read more about Jerome High’s Scream Team by visiting the Louisiana Film Commission, or the IMDB site. The New Orleans Film Society is excited to announce its 22nd Annual New Orleans Film Festival. Panels, workshops, receptions, awards presentations, opening and closing night events, and numerous opportunities for learning, networking and celebrating the finest in cinema, with a special focus on Louisiana-produced films. The New Orleans Film Festival will take place at various venues around the city including but not limited to: the Prytania Theatre, the Theatres at Canal Place, and the Contemporary Arts Center. Additional venues to be announced. Tickets and passes will go on sale in late September – early October. Members of the New Orleans Film Society will be able to purchase advance tickets and will receive discounts on all events. 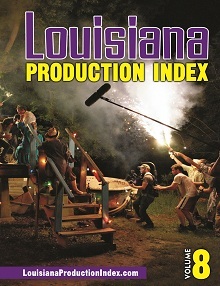 To learn more details about the 2011 Festival, visit NOFS’ website: www.neworleansfilmsociety.org. As films are added to the schedule, full details will be available on NOFS’ site. For more information, call Jolene Pinder at the New Orleans Film Society at 504-309-6633.